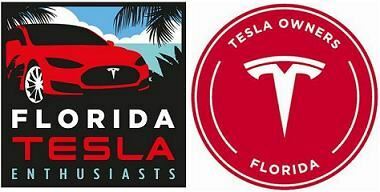 Tesla Motors will be participating in the free SuperCar Week festivities at the West Palm Beach waterfront this Sunday, January 15th from 11:00 am to 5:00 pm at Clematis Street. Please invite interested family and friends to get the complete Tesla experience and design the Model S or Model X of their dreams at a Tesla mobile gallery. Pulled by a Model X SUV, an Airstream trailer is retrofitted with a full Tesla Design Studio and staffed with Tesla product specialists to give a taste of what life is like with a Tesla. In addition, on Sunday a one mile length of the West Palm Beach Waterfront will be laid out as an auto enthusiast city scape displaying hundreds of car. There will be music and entertainment with designated areas for SuperCar Street, Muscle Beach, Memory Lane, Green Street for Electrics, Corvette Court, Viper Blvd., ArtCar Ave., Marine Village for Off Shore PowerBoats, and the Race Village of Race Teams and displays of race vehicles. We hope that you can make it. Here's some photos of the event taken by club member Daniel. The Naples Supercharger is nearing completion. Most of the major work is done. The parking lines have be correctly repainted and the utility power transformer has been set. The meter is not installed. Waiting for permits and minor work to be completed. Get the complete Tesla experience and design the Model S or Model X of your dreams as their fleet of mobile galleries roams to destinations near and far. Pulled by the Model X SUV, which can tow up to 5,000 lbs, each Airstream trailer is retrofitted with a full Tesla Design Studio and staffed with Tesla product specialists to give you a taste of what life is like with a Tesla. How about two iconic American Cars clubs getting together for a short, local Ice Cream Run? The Skyway Corvette Club of Sarasota-Bradenton invited our Southwest Region to join them in a meet and greet on Veteran's Day. We started by meeting at the University Town Center Mall (UTC) in Sarasota and caravaned over to the Culver's of Sarasota 4 miles away. It was an informal, fun, local event with about 30 cars and around 60 people in attendance. Even some of the UTC Tesla Store staff joined us at the mall parking lot. We had a nice turn out at the UTC mall. Probably over 60 people. Some of the UTC Tesla Store staff joined us. In general, our Florida electric utilities have been helpful advocates promoting electric vehicle adoption in the state. However, the same can not be said for promoting solar energy when it comes to supporting policies beneficial to residential customers and small businesses. Like the automobile dealerships fighting Tesla in selling directly to consumers, the electric utilities are spending millions to prevent small solar businesses from pursuing a free-market solution of leasing solar panels directly to consumers thereby limiting up-front costs to homeowners. Floridians for Solar Choice started a citizens' initiative to deregulate the solar market to allow third-party power providers to sell rooftop solar-generated power. To confuse voters with competing Amendments, Florida's four largest electric companies created the "Consumers for Smart Solar" initiative which will appear on the November ballot as Amendment One, masquerading as a pro-solar energy initiative. Please take the time to read the Tampa Bay Times editorial by Paula Dockery, a syndicated columnist who served in the Florida Legislature for 16 years as a Republican from Lakeland. Zachary Shahan of Clean Technica produced this great 20 minute video of club members Roger & Matt Pressman at the Model 3 unveiling. A very entertaining example of Florida Tesla Enthusiasm!